The Aclaim®2 Nasal Mask has several unique features that ensure a quick and easy fit and an effective mask seal. The unique Glider Strap holds the mask gently but securely to the patients face while still allowing the patient to move freely. The diffuser mechanism reduces draft created by the bias flow, making the CPAP system much quieter. 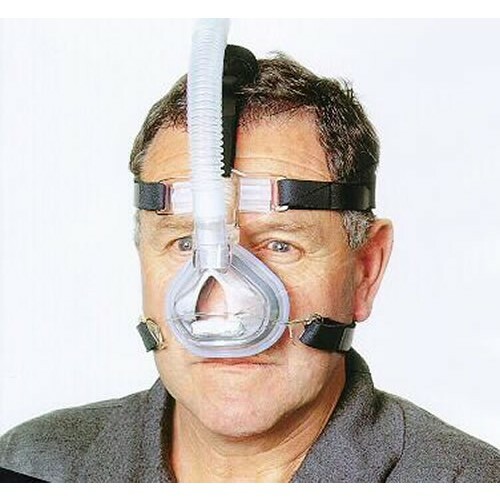 The Aclaim®2 comes fully assembled with BREATH-O-PRENE headgear that allows the patients head to breathe during the night. The Aclaim®2 is supplied with both sizes of Silicone Seal in each box. It's great. I would recommend everyone to have this. It's quite and comfortable. Especially when I sleep, it helps me out so greatly with breathing. Also easy to move with wearing mask.